It’s Down Syndrome Awareness Month (predominantly in the US, but happy to embrace it as I always do), so what better time to direct you to a short film I had the pleasure of contributing to. I have mentioned The Specials before (an online series that also aired on OWN in the US), they have been a fabulous, fun part of our journey with Down’s Syndrome. I used to work for a company that sold documentaries internationally and we represented The Specials before I was pregnant with Audrey. It was quite a moment for me, when, back at work visiting colleagues with my small baby, I bumped into Katy (producer of The Specials) and for the first time, I felt excited to tell someone that my baby had Down’s Syndrome! I knew that she would get it. Anyway, the company I worked for went into liquidation, time passed, but I thankfully remained in touch with Katy because she’s just one of those lovely-type-people you stay in touch with. She asked if we (my family and I) might be interested in being filmed for some content for The Specials website. 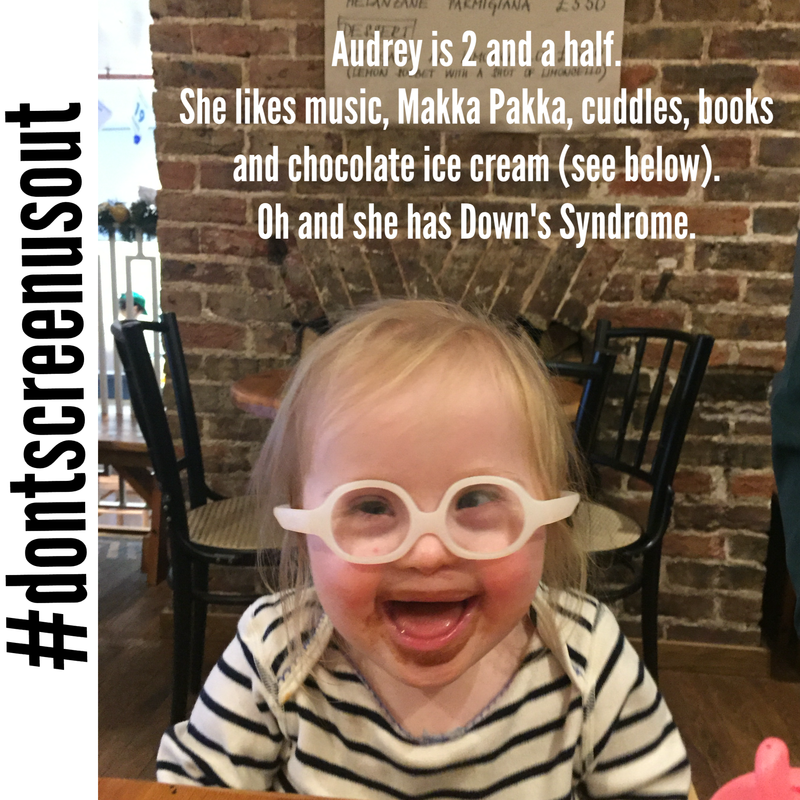 They were interested in representing a different part of the Down’s Syndrome journey – the early part with a little one like Audrey. Of course I said yes, I am always thrilled at the prospect of showing off Audrey and reaching people with our story – showing what life is like. Katy started filming us the summer Audrey turned 2 and continued into the winter when I was heavily pregnant with Rex. 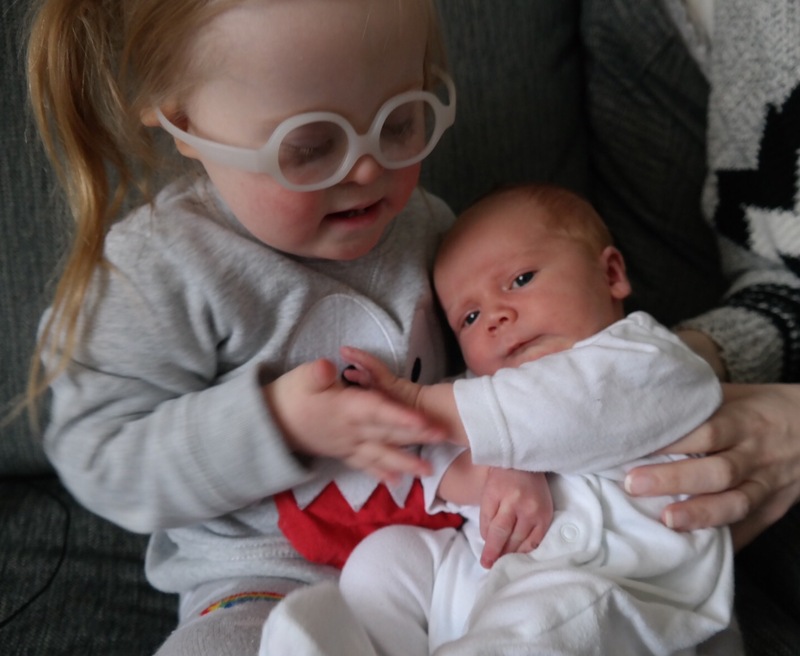 It’s a perfect film to share during Down’s Syndrome Awareness Month and one that I hope will be useful to new mothers, fathers, grandparents… basically anyone who fears what it might be like to have a child with Down’s Syndrome in their life. What we thought “then” and what we know “now” = just wow. I could literally talk all day about what I thought it would be like to have a child with Down’s Syndrome and what it is actually like. Audrey makes me so happy, so proud and she continues to surprise me every day with what she is learning and has achieved. So different to the fear in my heart that moment I first looked at her face. More links to come no doubt, but for now, I hope you enjoy this one, it’s certainly emotive! When Audrey was born, my brother Googled to find out if any celebrities had a child with Down’s Syndrome… and he found Sally Phillips. It was very thoughtful of him to try and make it “acceptable” for me – appealing to my (shameful) interest in celebrities. At the time I read an interview with her talking about her son Olly and it was very positive. But I couldn’t find more than that one interview and I guess I wondered why she didn’t do more. But now I see that it’s a really big deal to “put yourself out there”. 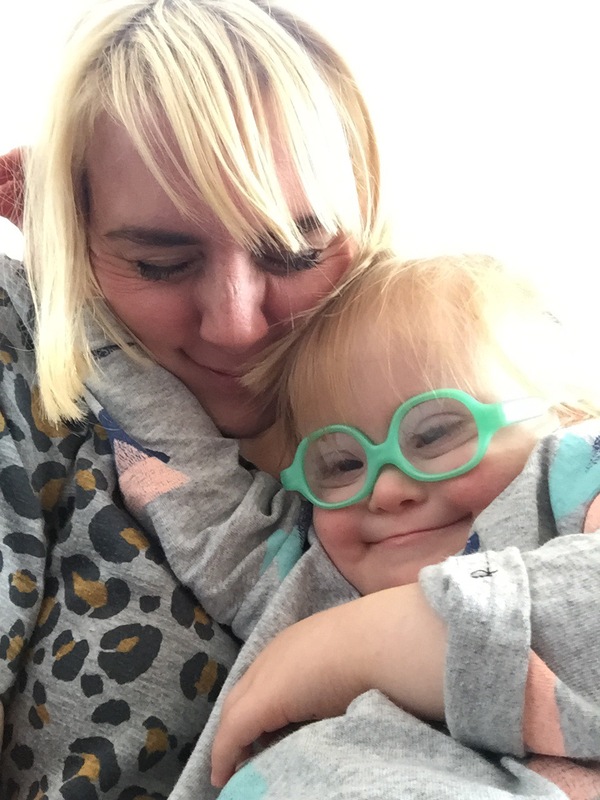 I have wanted to write about Sally’s documentary (“A World Without Down’s Syndrome”) for weeks, but I’ve found it incredibly hard. The lead up was a draining and consuming time. I felt anxious and stressed about being involved, about making a difference. So much positive and negative feedback, so much going on… And yet I know that this was just for those of us with an eye on the subject. For many, the film may have passed by unnoticed. But not me. I was watching it approach slowly, following a behind-the-scenes Facebook group that was prepping for press and publicity around it. I had planned to catch it at my convenience on iplayer, but after watching the beginning, I had to stay up and watch it. I was crying within seconds of it starting! I was so desperate to write about it, yet my thoughts sort of ran dry. So many reviews. So many reactions. It’s been tiring processing it all. It matters to me – that people would watch it and love it, watch it and learn. But I appreciate why many thought Sally wasn’t the right person to make it – she comes from a biased perspective. However it needed to be made and it needed that positive skew. 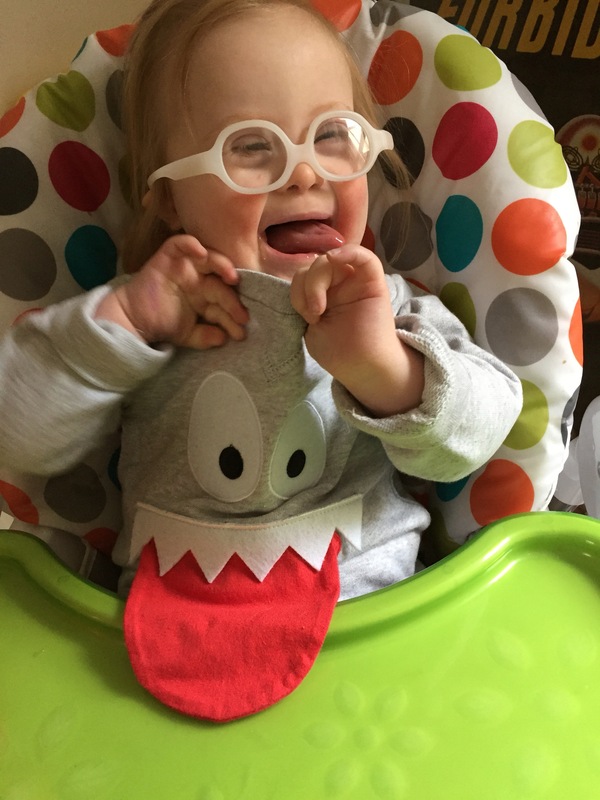 That was the point – communicating the positive side to having a child with Down’s Syndrome – balance against the negative information and medical condition list you are given at diagnosis. And also questioning a society where we actively look to rid the world of people who are different. Someone has decided that this is a wholly negative condition and therefore it’s worth screening for accurately. If you watched the film and took it the wrong way (maybe thinking it was anti- pro chioice, judgy or preachy? Maybe thinking it sugar-coated life with a child with special needs?) please be assured that wasn’t the aim. It was a truth, it was Sally’s truth. And just as Sally shared her truth, I share mine. Audrey hasn’t needed lots of medication or operations. She was on oxygen for the first 6 months of her life because she needed a little help breathing in deep sleep. She needs glasses because she is long sighted and (like me at her age), she has a lazy eye (aka squint). She has low muscle tone which is indeed a bugger and is making it harder for her to walk, but it also means she can practice yoga like a pro (like her Great-Grandmother, Emily, aka the Filleted Lady!). She lacks strength in some areas, but is amazing in others. She is basically a human being, perfect and flawed…yep, she is one of us. 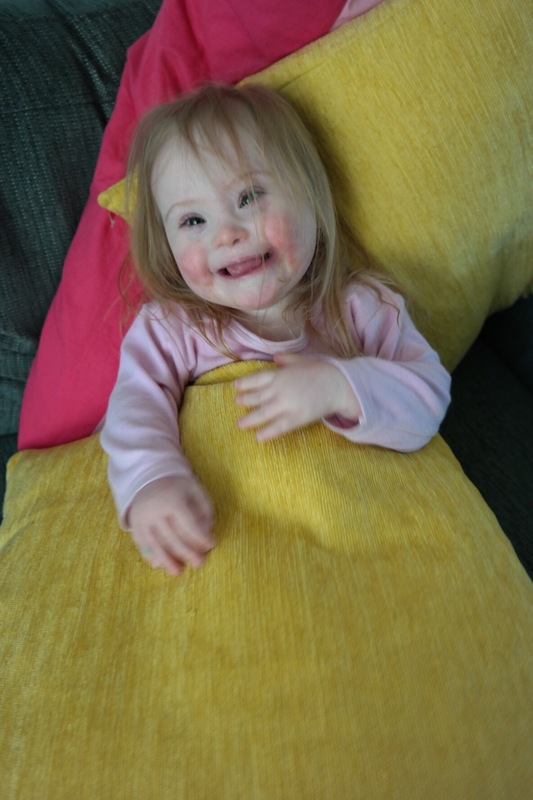 My hope is that people simply think about people with Down’s Syndrome as that – people. Understand that they contribute to the world we live in and bring happiness to their families. I’m not a religious pro-lifer, but I feel very blessed to have Audrey. Our lives are richer and happier for having her in it and she’s about as close to perfection as I could ever imagine. OCTOBER = Down’s Syndrome Awareness Month. This seems to come around so quickly and I worry I’ve got nothing new to say. Or that I’ve said it all throughout the year in my general posts. Just know that we (the DS community) raise awareness because we care. We care about the people in our lives with Down’s Syndrome and we fight for them. We fight for others to become “aware” – to try and make them understand that DS isn’t necessarily what you think it is. 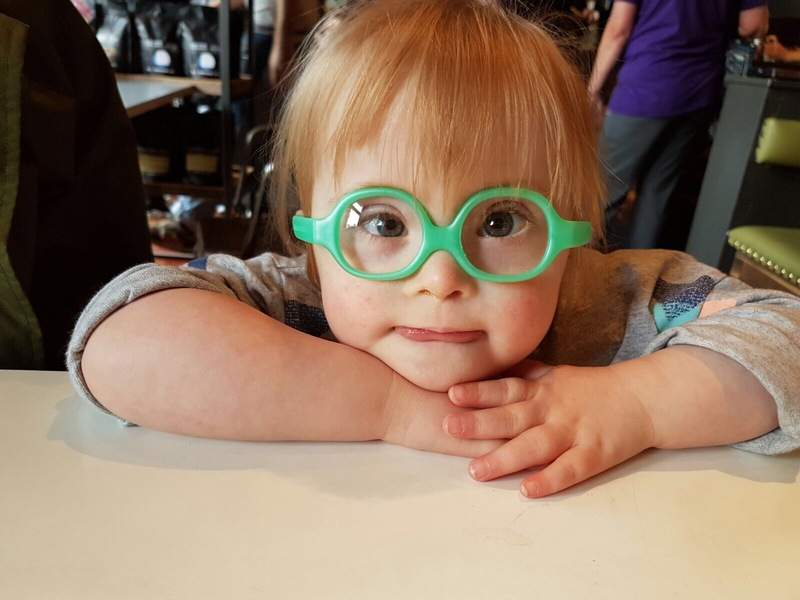 We look for balance – for dark and light, Down’s Syndrome isn’t a depressing life sentence, but it’s not unicorns and rainbows either. That’s just life full stop. I sat and thought about what I wanted to say this year and realised I want to talk about whether we can ever really get someone outside the circle to fully understand. 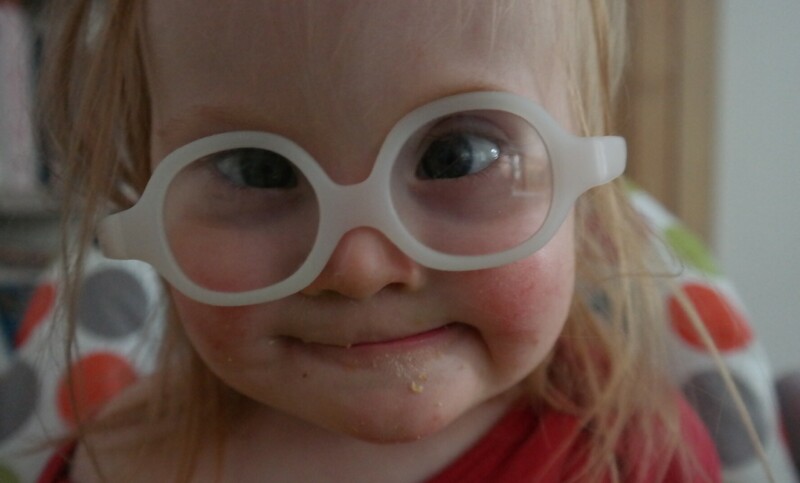 Can we ever really make Down’s Syndrome appealing? Can we ever make it ok and not negative? Close friends of ours got pregnant. They had the screening for Down’s Syndrome. Mum-to-be says to me “So we had the test and I told the lady that we weren’t really that bothered about the result because of what happened to you..” – at this point I start to feel all warm and fuzzy inside; that they would feel ok with a high chance of DS because they know and love Audrey. Ahhhh. But then she continued; “Because, well, you got ‘low risk’ and it didn’t mean anything – Audrey had Down’s Syndrome”. Oh. She was making a point about the test not being worth doing because it’s not accurate, not that it’s not worth doing because they’d be ok with a child with Down’s Syndrome. Of course this was an opportunity for me to push back and question her, but I didn’t. I just smiled and nodded like a fool. I don’t really like confrontation, but I suspect she would have backtracked and it would have been awkward. My point is, even people close to us (on the edge of the circle), don’t necessarily feel ok about Down’s Syndrome, so how on earth can we spread a balanced message of hope and positivity to pregnant women who have no connection to DS? Well, maybe we can’t… But maybe we can, so we’ll keep trying. 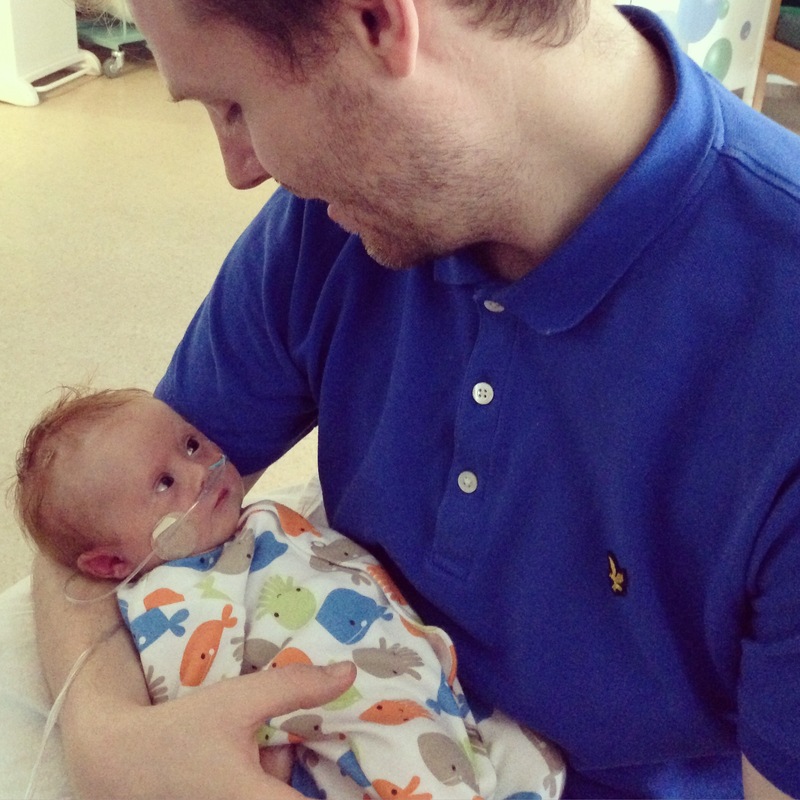 We can fight for better language (a baby with Down’s Syndrome, not a Down’s baby. Low or high “chance” not “risk” of Down’s Syndrome), we can fight for better knowledge (facts about people with DS attending mainstream schools, leading independent lives) and share our positive stories to outweigh the dated negative ones. And I’m going to continue writing my blog and sharing our lives in the hope we reach the right audience. It certainly can’t do any harm to keep on keeping on… We live in a rich and varied world. Life would be so boring if everyone was “perfect” and “normal”. 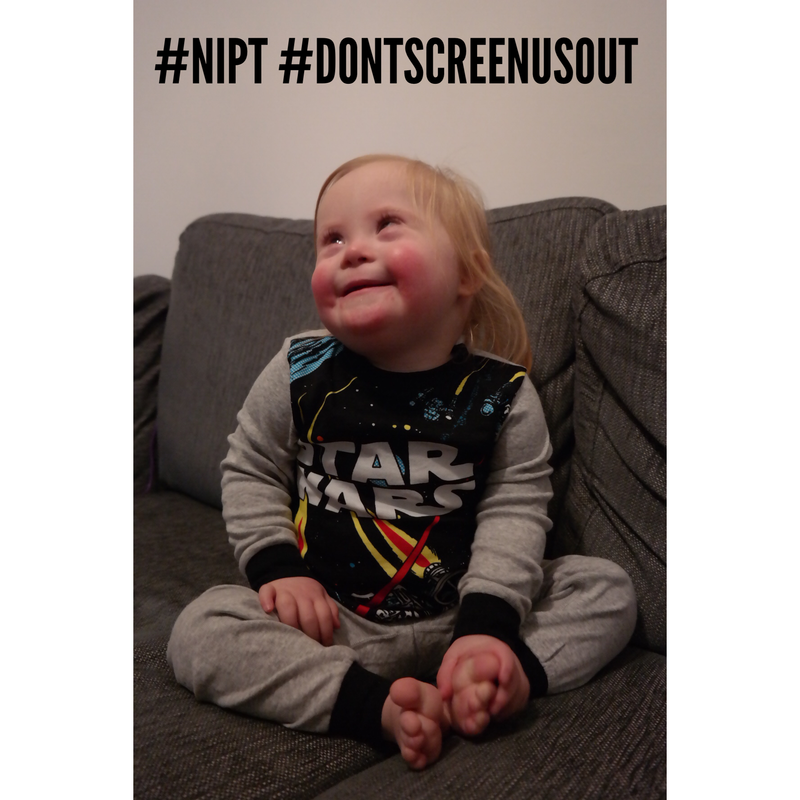 I can only present life as we know it and our experiences, but I know someone who had an adult son with Down’s Syndrome that was in nappies and only had a few words – the kind of “worst case scenario” if you will. But they loved that son/brother/grandchild and never regretted having him. They would have had every right to be bitter and angry about the life he had/they had, but they weren’t. Love doesn’t necessarily conquer all, but it has a bloody good go at doing so. One thing I’m 100% sure about is; my world is better for having Audrey in it.